JAN-PRO International is our parent company, and has been in business since 1991. In 2005 I brought JAN-PRO to Birmingham. JAN-PRO is a company that offers our franchisees the tools and support necessary to foster the growth of their businesses. I have seen many franchise owners literally change their lives as their businesses have grown beyond their dreams. JAN-PRO has a strong background rooted in proven business practices and an entrepreneurial spirit, and we support all of our franchisees with the management and growth of their businesses. I believe that JAN-PRO is the greatest franchise in the world, as our system is a win/win for everyone involved. 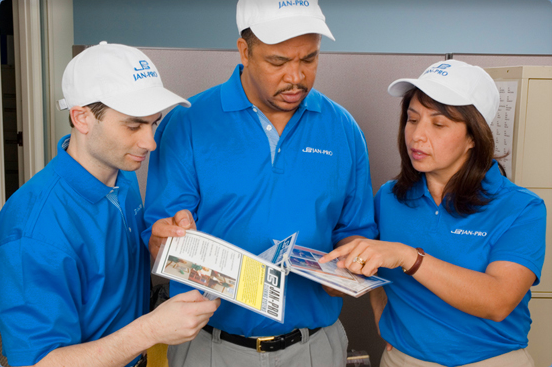 From world class training programs to the highest customer-retention rates in the country, JAN-PRO provides the template for success, so that all franchisees can simply follow the model and achieve the dream of working for themselves. Of course, nowhere is our dedication more focused than when it comes to delivering the JAN-PRO promise to our clients. If you are the type of person who can absolutely keep your customers happy, then JAN-PRO is right for you. At JAN-PRO, we are a team, and more importantly a family. Let us put our experience to work for you with JAN-PRO of Alabama!